Located just inside our entrance gate, the Koi Pond Patio offers a cool shaded area that provides respite from the warm spring and summer sun. Listen to the trickling water and watch fish swim in the small pond while ducks float atop and dragonflies provide some drama. 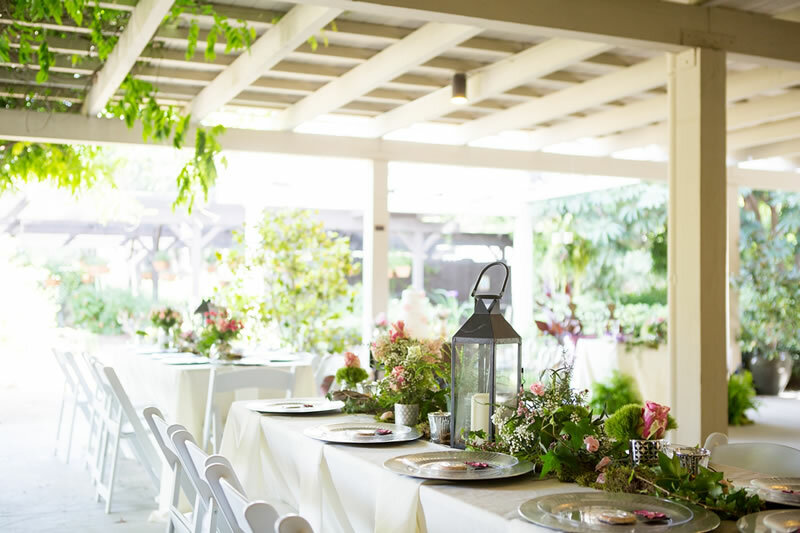 The white-washed wooden trellis provides a lovely rigging point for paper lanterns and specialty décor, with the exotic Japanese Garden as your backdrop. In the near distance is the Fuchsia Garden, teaming with red, pink and white blooms in the summer months. 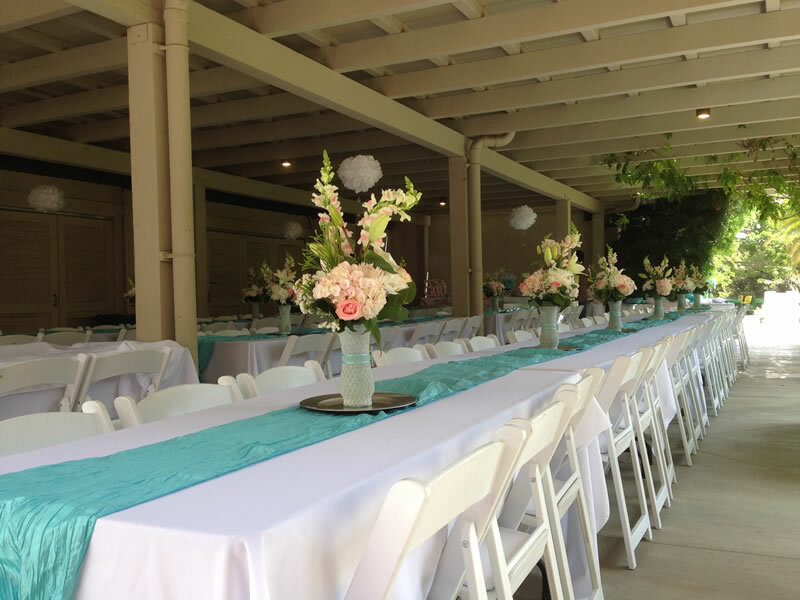 The space can accommodate up to 80 guests at round tables or up to 100 ceremony style. The venue is perfect for many occasions, including birthday celebrations, bridal and baby showers, cocktail receptions, ceremonies, small receptions, business meetings and celebrations of life.